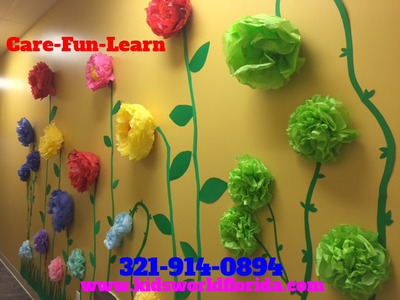 In our childcare and preschool located in Palm Bay, FL 32909, we offer a variety of programs for children, ages 6 weeks to 12 years. Our childcare programs are designed to facilitate learning by providing a caring and fun environment for children – inspired by our Care-Fun-Learn philosophy. In our daycare, we strive to maintain a safe and healthy setting that encourages social, emotional, intellectual, physical, and mental development. Our goal is to aid your child in the learning experience by encouraging them to think creatively. In our daycare, Creative and Kindness curriculum is followed and the programs offered are listed below. 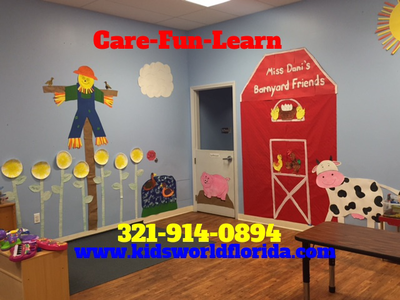 Infants - We are one of the few daycare centers that provide infant care in Palm Bay, FL. Our childcare environment encourages movement, exploration and communication. Our teachers spend lots of time developing a trust filled relationship with your baby. We sing and read to your baby daily to help develop their early language. We encourage daily activities that develop their motor skills. We work with our parents to develop their infant’s daily schedule - napping, playtime and feeding. We encourage our parents to stop in and spend some time with their baby. We accept infants who are at least 6 weeks old. Our goal is to customize our program to fit your infant’s needs. 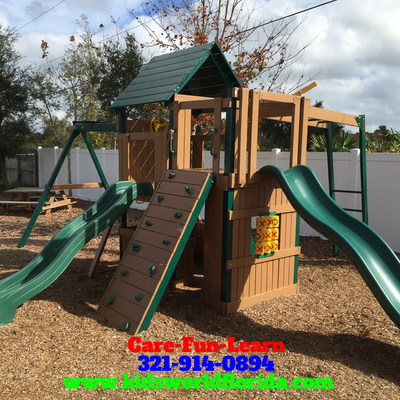 One’s - We offer a quality childcare program for one year olds in Palm Bay, FL. As your child begins to explore their world by walking, running and jumping our teachers work to encourage and develop each of these skills. This exploration helps develop your child’s communication. We have daily lesson plans that help foster this growth. Our age appropriate learning methodology helps your child strive in our daycare environment. We work with our parent’s to help guide your child through this exciting phase. Our main focus is your child’s needs. 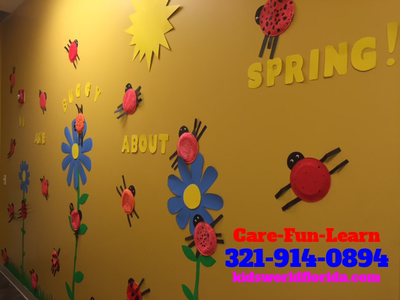 Two’s - We offer an excellent childcare and learning program for two year olds in Palm Bay, FL. Our toddlers are encouraged to explore their world. We offer daily consistent structure with quiet activities, music and movement lessons and plenty of outdoor play. Circle time incorporates stories and songs to help with the development of language and social skills. Your child will be encouraged to play with blocks, puzzles and art supplies to feed their curiosity. We will work with each parent to customize a potty training schedule for your child. 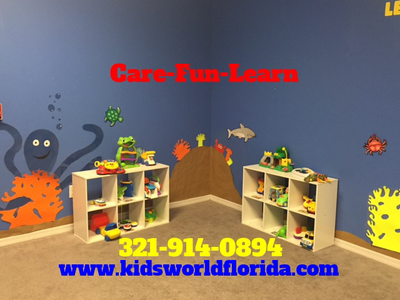 Your child will learn while they play in our daycare. Three’s - We offer an excellent preschool program for three year olds in Palm Bay, FL. Our preschoolers enjoy a variety of self-exploration with manipulatives that enhance fine and gross motor skills. Teachers use weekly lesson plans that promote letter recognition, math concepts and social skills. Following a daily schedule helps promote a healthy learning environment. Each child in our daycare is encouraged to use communication as a resolution to conflict. 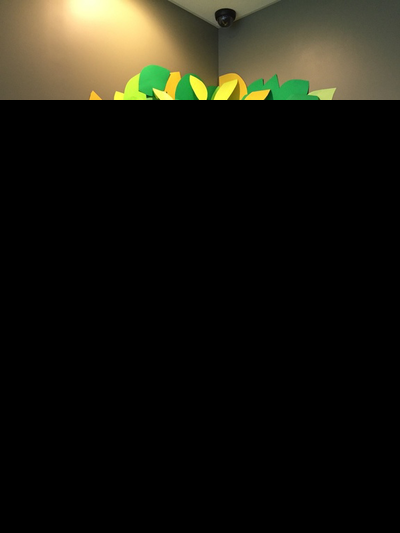 VPK - We offer highly rated VPK program in Palm Bay, FL. Most important growth happens by the age of five, so the early years are the learning years. Our VPK program focuses on your child’s cognitive, social and emotional needs. While preparing your child for kindergarten, our teachers work with weekly lesson plans. Your child will experience small and large group lessons. 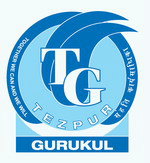 Our teachers focus on your child’s strengths and weaknesses through our care, fun, learn approach. Your child will experience the joy of understanding the world around them with the vast knowledge they gained in our VPK. Our VPK helps lessen the stress of Kindergarten for you and your child.